It's hard to be a scuba diver and not be interested in protecting the environment we love to explore. As divers, I believe we need to use our dollars to direct the way the dive market goes in the next few years by only working with those organisations that are actively protecting the environment and teaching people to respect it. A liveaboard or dive safari can be one of the best ways to explore an area without limiting yourself to dive sites within a day return of your accommodation. However, because of the all-inclusive nature of heading out on a boat, it can be expensive. The liveaboard industry is dominated by big centralised booking services. These can be great to get an idea of the area or compare boat specs but currently, most don't consider conservation or eco-initiatives. Once you have identified some boats that match your preferred specs and dates, check out their blogs and social media to see if they promote any conservation initiatives. Some things that I'd be looking for include locally-staffed boats, engagement with the area in which they operate and promotion of responsible interactions with animals (that means no touching!). It’s also worth reading customer reviews. As ecotourism becomes a bigger industry, there will be operators who use it as a sales technique while only paying lip service to it in reality. Customer reviews are a good way to see if they walk the walk, or merely talk the talk! Also be aware that some photographers are less ethical and will tip well for a shot that is striking with no concern for the animal; look out for this and try to avoid sharing such images. We are all (or should be) super vigilant about our use of plastic considering 8 million tons of it is dumped in the ocean every year. I always travel with reusable straws, cutlery and water bottles. Be sure to check that there is somewhere to refill your water bottle on board! 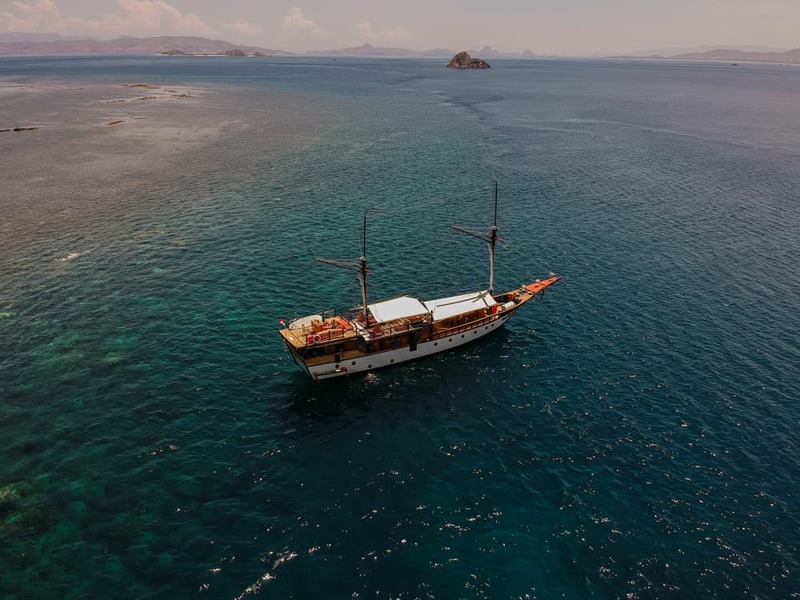 If you are heading to Komodo then see if the operator is a member of the Dive Operators Community of Komodo (DOCK), their members all follow a strict best practice and contribute to environmental activism. We dived with Wunderpus Liveaboards because they have been active in setting standards for diving in the National Park and calling out operators who are shoddy. Owners Ed and Chris have also been privately funding and building moorings in the park to stop boats anchoring on the reefs. You can also find responsible tour operators such as Dive Respect Protect (who I will be travelling with at Easter) who do this kind of due diligence for you. What else can you personally do? Take the Project AWARE pledge to protect the ocean. Get involved in a beach clean up or start your own. If you speak to the operator before you may be able to organise a Dive Against Debris during your trip. Invest in UV-blocking clothes and reef-safe sunscreen. I don't travel anywhere without my Sun-Nation UV rashie and a hat to minimise the sunscreen I need to use, and I make sure it’s reef-safe on boats - the last thing you want is anything being washed into the ocean on your account that could harm it. Don't be shy to contact them directly and ask questions! This is an expensive holiday and good customer service is key to you enjoying the trip. Is an advanced level required? Depending on your personal level, knowing that the boat has a minimum qualification may give you some peace of mind. How many dives are included? The amount of dives included will allow you to compare costs between different boats. However, bear in mind that 3 dives a day becomes exhausting; even if more are offered, you may find yourself too tired or cold to enjoy them. What is the maximum number of guests allowed? From there it’s worth asking who else is booked on the boat; if a big group is booked, they may dictate the dynamic on board. What is the ratio of guests to dive leaders? Check extras: equipment rental (often not included), Nitrox, fuel and/or other surcharges, meals/drinks (i.e. alcohol) and pickup/drop-off services. I would also ask if they are involved in any local conservation and if I could contribute or get involved during my stay. Personally I only eat free-range meat or MSC-certified fish; this is often not catered for so I want to know they have vegetarian options! If you have any other tips to share, let me know in the comments! And if it’s about time that you get yourself on a liveaboard, there may even be a few spots left to join us in the Maldives! Charlie, a beloved #SheWentWild Ambassador is an underwater explorer passionate about scuba diving and sustainability.